Peter grew up in the western suburbs of Sydney, before moving to WA. Before medicine he worked as an electroplater and metallurgist, then studied Alternative Medicine. Married with 6 children – He is a committed Christian with a deep desire to help and support people, and to always act with honesty, integrity and love. 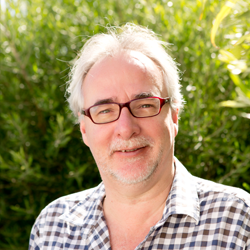 Peter is a GP-Obstetrician, MBBS (UWA) FRACGP (Fellow Royal Australian College GP), DRANZCOG (Adv.) (Advanced diploma or Royal Australian College of Obstetrics and Gynaecology), Graduate Diploma Rural GP, CCPU (Certificate Clinician Performed Ultrasound). Adjunct Lecturer (University of Note Dame GP-Obstetric representative Woman and Children’s Health Networks Doh WA. Chair of Obstetric review Committee PHC (8 yrs), Member MAC PHC (8 yrs). 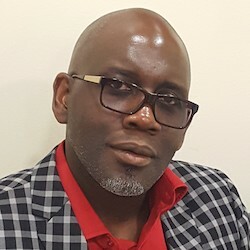 He founded Peel Maternity and Family practice in 2006, a unique collaboration of GP-Obstetricians and midwives. He is passionate about improving care for pregnant women, both in pregnancy and delivery. He believes good maternity care requires a team of doctors and midwives, along with allied health professions, working together without competition. Outside of work and when not on call, Peter enjoys spending time with family and friends, sometime over a glass of his favourite wine! 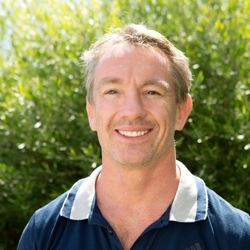 Simon grew up in New South Wales and started a career as an apprentice before changing and working as an Air Force jet mechanic and eventually retraining as a Navy Clearance Diver. Simon then studied a Bachelor of Science in Forensic toxicology at Murdoch University prior to completing medical studies in Fremantle’s Notre Dame University. Simon worked exclusively in emergency departments prior to undertaking his obstetric training at King Edward’s. Simon joined the Peel team in 2013. Simon holds a fellowship of Advanced Rural GP with an Advanced Diploma of obstetrics enabling him to care for women prior to and during pregnancy and carry out deliveries including caesarean sections. At Peel Maternity and Family Practice, Simon is a GP obstetrician and GP/ED generalist. Simon enjoys time with his family and new dog as well as studying and reading. Outside of work, you’ll find him on the surfing or doing jiu jitsu. Simon’s passion in medicine is as a true generalist caring for new families with a focus on obstetrics, women’s health including fertility and children’s medicine. Dr Karine Hay loves all areas of medicine, but has a particular interest in children and women’s health. Prior to working as a GP, Karine worked at Princess Margaret Hospital for Children (PMH) for 3 years, alongside WA’s best paediatricians, and completed her Diploma of Child Health during this time. Because of her love of paediatric medicine, Karine continues to work part time in the Emergency Department at the Perth Children’s Hospital, which helps to keep her skills and knowledge up to date. 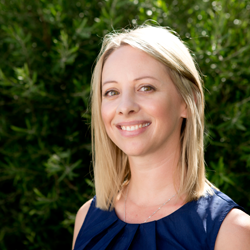 Since graduating from the University of Notre Dame Medical School in 2011, Karine has also spent time working in Fremantle Hospital and KEMH for women, and has experience in general adult medicine, psychiatry, general surgery, and all areas of women’s health including IUD insertion. Prior to studying medicine, Karine worked as a Clinical Nurse at PMH for10 years, predominantly in the Intensive Care Unit. When not at work, you will find Karine enjoying family time, reading fiction novels, down the beach, and spending time with friends. Laura grew up in Manchester, UK. She studied Medicine at the University of Liverpool and completed an additional BSc in International Health that involved projects in South America. Laura graduated in 2012 and worked for two years in London in a variety of medical and surgical departments. Since moving to WA in 2014 Laura has worked at Peel Health Campus, mainly in the Emergency Department, King Edwards Memorial Hospital for Women and the Next Step Drug and Alcohol Clinic. Laura loves the variety that General Practice offers and is especially interested in preventative medicine, women’s health, sexual health and contraception, and mental health. When not at work you’ll find Laura in the pool or ocean, or exploring WA’s great outdoors with her partner and friends. Peel Maternity and Family Practice is proud to introduce Dr Gregg Eloundou to all General Practitioners. He is an outstanding Consultant Obstetrician and Gynaecologist offering services in all aspects of obstetrics care and also has a wide range of experience in office, outpatient and surgical Gynaecology. Marlene grew up just outside of Perth and worked in secretarial insurance claims prior to moving into her long time desire to become a nurse. Marlene did her training at Royal Perth Hospital and five years after that, Marlene started her midwifery training at King Edward Memorial Hospital where she found her niche caring for and empowering women during the most profoundly life changing time of their lives. Marlene is also a qualified Child Health Nurse. Marlene has been delivering babies in the Peel region since 1981 and is now helping to deliver the next generation of babies at Peel Maternity since it opened in 2006. When Marlene is not at Peel Maternity, you’ll find her reading inspirational and personal development books not to mention getting involved in the garden and crocheting. Kim mainly grew up in Perth with some time spent in Queensland. 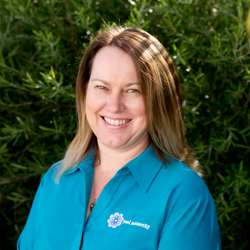 After completing a Bachelor of Nursing at Edith Cowan University, Kim worked at Sir Charles Gairdner Hospital as a Registered Nurse and then completed her Post Graduate Diploma in Midwifery. During her 20s, Kim lived in Seattle USA where she worked as an Obstetric Nurse. Kim has focused on all areas of midwifery, from antenatal clinic, through to birth suite and the postnatal ward. 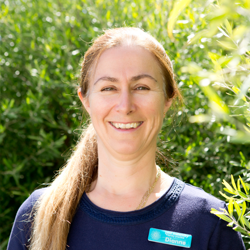 Kim worked in Osborne Park Hospital before joining the practice in April 2011 and in addition to her role as a midwife, now teaches the 3 antenatal education classes that she has developed over the years. Card making, reading and travelling tends to fill up her free time as well as taxiing her children to swimming, drama and sailing. 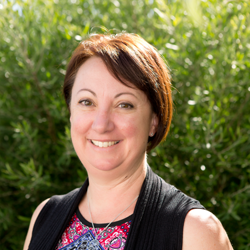 Elaine grew up in Perth and has a Diploma of applied Science (Nursing), Bachelor of Applied Science (Nursing), Postgraduate Diploma in Clinical Nursing & Midwifery and a Graduate Certificate in Adult and Tertiary Education. After starting her career as a general nurse working at Royal Perth Hospital in the early 90s, Elaine lived in England then travelled around Europe and Africa. 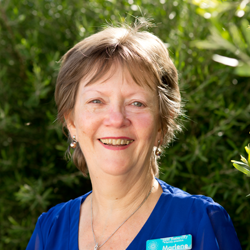 On returning to Australia in 1996, Elaine worked in Royal Perth Hospital then at Warren District Hospital in Manjimup where she completed her midwifery qualification. 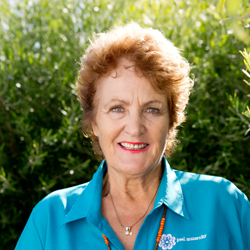 In 1999 Elaine moved to Mandurah and working at Peel Health Campus and the Australian Nursing Federation before joining the Peel family in 2012. Elaine has just passed the IBLCE Certification Examination and has the right to use the title International Board Certified Lactation Consultant (IBCLC) helping more women with any breastfeeding concerns and questions. 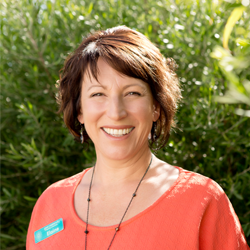 Outside of work, Elaine is very family focused; actively involved with the local Surf Life Saving Club, and taking her children to numerous dance recitals and swim carnivals! 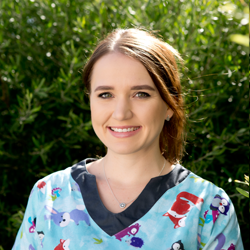 Ely studied Bachelor of Nursing at Murdoch and completed her practice at a number of hospitals including Peel Health Campus, Fiona Stanley Hospital, and Rockingham Hospital, spending time doing surgical and medical rotations and working in paediatrics. Ely joined the Practice earlier this year as our registered nurse and is involved in GP management plans. Ely also handles vaccinations, dressing changes and manages wound care. When not at work, Ely is taking her daughter to ballet, biking and to the beach and parks. Our in-house psychologist; Christine Coleman works with our patients to create plans to improve emotional health and well-being as well as how to make meaningful changes to reach their goals. Christine has over 25 years of experience working in both public and private practice with a broad range or psychological presentations. 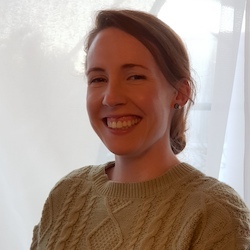 Christine is a full member of the Australian Psychological Society (MAPS) and has full registration with the Psychology Board of Australia/Australian Health Practitioner Registration Agency (AHPRA). As a psychologist, Christine enjoys meeting people and working together to help them regain a sense of well-being and balance in life. Every person is unique and it is satisfying to gently look at unhelpful thoughts and behaviours and find ways to respond differently which contribute to positive changes in their life. In her free time, Christine enjoys exploring nature reserves or going for long beach walks and trips to the theatre. Dianne is a Physiotherapist and Antenatal Educator who has also studied Elite Personal Training, and written online pregnancy, postnatal and pelvic floor training courses for fitness professionals. At Peel Maternity Dianne is involved in running our Antenatal Classes; Pregnancy Essentials and Preparation for Childbirth, with our midwives. These are the only Antenatal classes in Mandurah that run with a Physiotherapist. Having worked as the lead Physiotherapist for the Pelvic Floor First campaign run by The Continence Foundation of Australia, Dianne has worked and co-presented with some of Australia’s leading health and fitness professionals to develop safe and effective programs for women before, during and after pregnancy. Dianne has been a Pelvic Floor First ambassador since 2011. Originally from Wales, Sharon has been living in Mandurah now for 13 years and hasn’t looked back; loving the family focussed lifestyle. 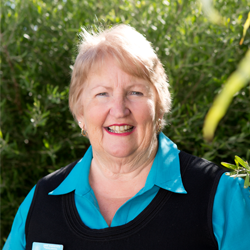 Sharon has worked for a number of large corporate businesses in Perth and Mandurah. More recently Sharon specialised in the medical sector in charge of many of the key areas in the hospital and running the consulting rooms. As the Practice Manager at Peel Maternity, Sharon is responsible for managing all aspects of the business from HR, recruiting, professional development and marketing. When Sharon isn’t working, she’s taxiing her children and grandchildren to dance recitals and other extra curriculum activities! Bernadette (Bernie) grew up in Darwin in the Northern Territory and started a career in banking. 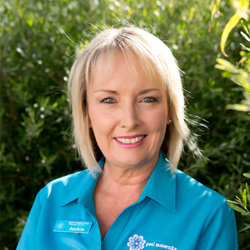 After moving to Mandurah over twenty years ago, Bernie studied Early Childhood Education and then began working in the medical sector. Starting in reception, Bernie then spent a number of years working in the different departments in the Practice focusing primarily on accounts. Bernie joined the Peel family over 2 years ago as the accounts officer. Bernie is a big Dockers supporter and loves Aussie Rules football. When not watching the game, she’s spending time with family and friends planning to go on a few more long haul flights in the next year. Dot has been a receptionist at Peel for 5 years and has worked in the medical sector for just over 25 years. On reception Dot is responsible for answering the phone, chasing up results, making appointments, managing enquiries and supporting the medical team. Outside of work, when Dot isn’t golfing or gardening, Dot loves biking, including a 550km bike ride through France, a 6 day Bike ride Mt Cook to Omarau in NZ and a planned trip through the rice paddy fields in Vietnam. Born in Hammersmith, London and raised in Sudbury Suffolk, Mandurah is a long way from her first home. Jackie, her husband and her 4 children emigrated to Mandurah in 1994. Having worked in real estate for many years, Jackie joined the Peel Maternity and Family Practice team 5 years ago. As receptionist, Jackie is in charge of making appointments, handling enquiries and supporting the medical team. Jackie is a Fremantle Dockers supporter and when she’s not watching the games, she enjoys going for walks, trying to keep fit and spending time with her family and gorgeous grandchildren! 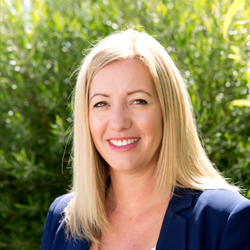 Wendy grew up in the country and moved with her family to Mandurah as a teenager. After leaving school, Wendy initially focused on office and clerical work before joining medical practices. Starting at the front desk and specialising in all areas of the Practice, Wendy “retired” as Practice Manager. Although she loved retirement, Wendy missed the interaction with the public and joined Peel Maternity & Family Practice in 2008. When not travelling, Wendy is a keen Essendon supporter and enjoys all aspects of craft work and enjoying time with family, grandchildren and friends. Jan has had a wealth of experience in customer service starting as a personal assistant before moving into the airline industry. Following that Jan set up a business in the mining and construction industry managing it through its expansion for over 20 years. Jan has worked on reception at Peel Maternity and Family Practice for almost three years; responsible for managing appointments, answering the phone and chasing up results. In her free time, Jan loves playing golf, going to concerts, walking and having just completed a course in Reiki enjoys practicing on family and friends. When not at work, you’ll find Jan planning her next travel adventure, here or abroad.